As the centenary commemorations of the 1916 Easter Rising continue in Ireland, it is interesting to ask what roles were played by members of the Comerford family during those events 100 years ago. The first event of the centenary took place on 1 January 2016 in Dublin Castle. The attendance at the flag-raising ceremony included Richard and Monica Comerford, grandchildren of Philip Clarke of the Irish Citizen Army who was killed in the fighting in Saint Stephen's Green in 1916. The librarian Hugh Comerford was a researcher for Joe Duffy’s book Children of the Rising, which provides another important component in the narrative. But how many members of the Comerford family were involved in the events of Easter 1916? Andrew Comerford of 7 Upper Kevin Street, Dublin, fought at Jacob’s Biscuit Factory in Bishop Street, Dublin. He was a Company Sergeant-Major (CQMS), B Company, 1st Battalion, Dublin Brigade, in the Irish Volunteers. He was a member of the Irish Volunteers from 1 April 1916 to 31 March 1917. On the outbreak of the Rising on Easter Monday, 24 April 1916, he was appointed First Lieutenant by Thomas MacDonagh. He acted as aide-de-camp to Major John McBride and twice went out and walked the district with him. After the surrender, he was held in Richmond Barracks, Inchicore, before he was deported on 2 May 1916. At first, he was held in Knutsford Prison, and he was then held in Frongoch in North Wales until he was released sometime in August 1916. After his release, he immediately resumed Volunteers activities instructing the B Company in drill at the Painters’ Hall in Gloucester Street. He continued this activity until 1919. Although he remained a member of the Volunteers until the Treaty, he did not take an active part, and he did not take part in the Civil War. He was known as ‘Mockie’ or ‘Moggy’ Comerford, and became friends with the playwright Sean O’Casey in Phil Shanahan’s pub, and other regulars, including Peadar Kearney, composer of Amhrán na bhFiann. He is said to have been the inspiration for characters in O’Casey’s plays The Plough and the Star and Juno and the Paycock. He died on 11 November 1941. He seems to have been a brother of Joe Comerford of I84 Iveagh Trust Buildings, Block P, New Bride Street, who was a member of the Irish Citizen Army in 1916. In Kilkenny, Edward ‘Ned’ Comerford, an electrician, of Wellington Square had been a vocal opponent of John Redmond at the outbreak of World War I. In 1916, he was a member of the Kilkenny City Committee, along with Patrick Corcoran, Alderman James Nowlan and Peter de Loughrey, Edward Comerford. This committee developed the planning and training and also maintained close contact with the headquarters of the Irish Volunteers in Dublin. He was taken first to Richmond Barracks and then sent to Wakefield on 12 May 1916. On his release, he returned to Kilkenny, where he ran Irish classes in the Volunteer Hall which had been renamed the Irish Club. Her plans to work with her mother in running their school in Courtown, Co Wexford, were disrupted by the events in 1916. She was in Dublin staying with an elderly cousin, Maud Mansfield, who lived at 4 Garfield Terrace, Rathgar, between Rathgar Road and Rathgar Avenue. Accidentally and unexpectedly, Máire found herself present at the outbreak of the 1916 Easter Rising in Dublin. However, her brother, Colonel Thomas James Comerford (1894-1959), who was raised in Co Wexford and Co Waterford, was an army officer in 1916. He was commissioned as a Second Lieutenant in the Royal Irish Regiment in September 1914. He saw active service at the Souvla Bay landing at Gallipoli, and was temporarily with the 6th Battalion, the Royal Munster Fusiliers between 7 August 1915 and 16 August 1915. He was badly wounded in the mouth and chest and was not declared fit for active service until December 1915. He told his son he was in Ireland on army service at the time his Máire Comerford was involved in the Rebellion. According to family tradition, he was moved out of Ireland immediately on the outbreak of the Easter Rising in 1916. He was on active service in France from 22 July 1916, fought in the latter part of Battle of the Somme with the 13th Battalion, the Royal Irish Rifles and then in Belgium at the Battlea of Messines, Langemark, Menin Road, Ploegsteert and Wytschaate. He joined the Indian Army in November 1917 and would spend 25 years in India. There he married Edith Isobel Donaldson in Bombay on 10 October 1921. He was active in World War II organising supplies for the Chindits. He died aged 65 on 1 January 1959 in West Malling, Kent. Judge James J Comerford (1901-1988) published his memoirs in 1978 as My Kilkenny IRA Days 1916-22. However, he did not take part in the events in 1916, and, despite the title of his book, only became an activist in 1917 at the age of 16. He was a member of the 3rd Battalion Kilkenny IRA, but this was not one of the most active battalions. He fought in the War of Independence in 1920-1921, was wounded twice, and rose to the rank of captain. His lengthy book includes robust accounts of local rural life in North Kilkenny and of how the political dynamics changed in Kilkenny during this revolutionary era. 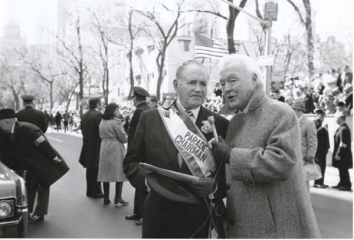 He emigrated to New York in 1925, later became a high court judge in New York, and for 19 years chaired the New York City Saint Patrick’s Day Parade. Charles William Comerford (1877-1953), of 60 Kenilworth Square, Rathgar, was the only member of the Comerford family who was actually in the GPO in Dublin in Easter Week 1916. He was born on 28 February 1877, and was baptised on 31 January 1878, Saint Peter’s Church (Church of Ireland), Aungier Street. 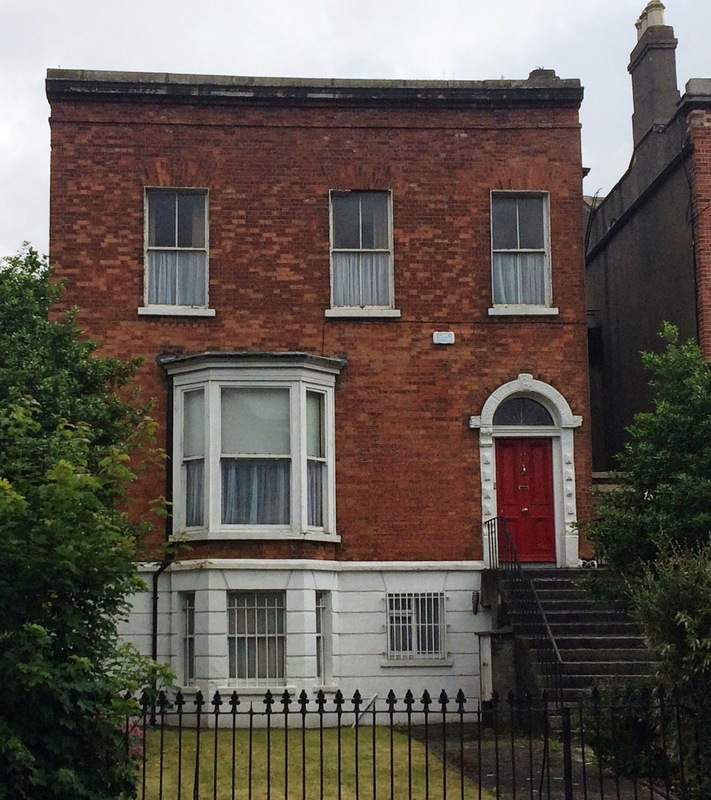 By 1901, he was working as telegraph clerk, and living with his father’s family at Parnell Place, Rathmines. 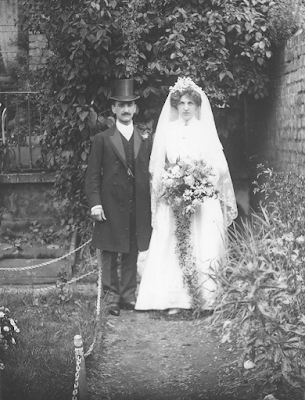 In 1910, he married Adelaide Margaret Field (1878-1953), daughter of John E. Field, solicitor’s clerk, of 39 Longwood Avenue, South Circular Road, Dublin, and his wife Elizabeth Mary (née Doyle), daughter of William Doyle of 53 Lower Clanbrassil Street. A year later, in 1911, he was telephonist and working in the GPO. His granddaughter, Angela Marks, believes Charles Comerford was in the GPO in O’Connell Street in 1916 and says family tradition tells of him crawling out along the street and swearing to leave Ireland. The family left Ireland ca 1922 and later lived at ‘Kenilworth’, on Nore Road, Portishead, near Bristol. Charles died on 3 September 1953 and was predeceased by Adelaide, who died on 2 February 1953; they are buried at Saint Peter’s Church, Portishead.